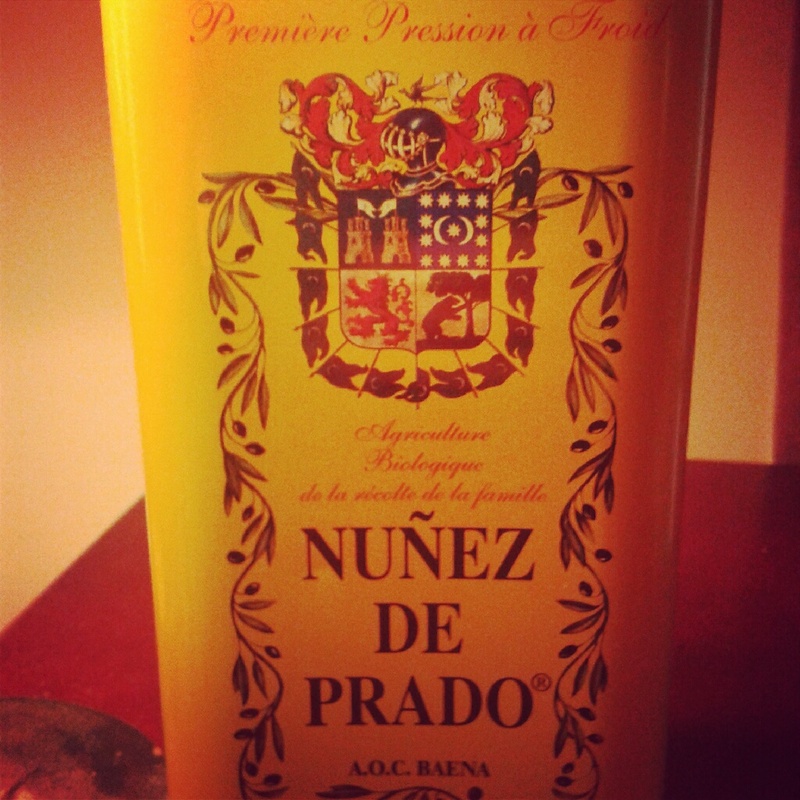 I recently acquired a bottle of my favourite olive oil in the world, Nuñez de Prado. This stuff is magic. It makes magic mashed potatoes with garlic. It's magic drizzled on toast. It's magic with pasta. 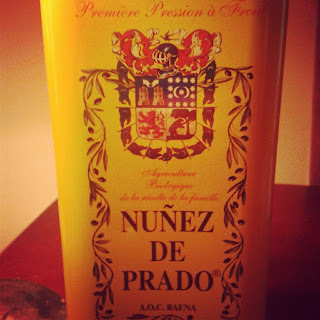 I was starting to feel a little bit guilty about taking a carbohydrate, pouring Nuñez de Prado on it, and calling it lunch. I needed green! One of the best places to go for green is rocket. So for lunch today, I took a carbohydrate, poured Nuñez de Prado on it, and added green. Much healthier, right? 1. Cook the pasta in salted water until almost done. Meanwhile, chop the garlic roughly. When the pasta is almost cooked, toss in the rocket and allow to wilt for 30 seconds. 2. Drain, but not too thoroughly: some water clinging to the pasta is a good thing. 3. Return the pasta and rocket to the pan over a medium heat. Throw in the garlic, chili flakes, and olive oil. 4. Poke it around quite vigorously over the heat for one to two minutes. You're trying to get the olive oil and the clingy water to make friends. Serve with salt and pepper (and nutritional yeast if you're a level 5 vegan like me).